I’m sure you got the message that fall has arrived. It is in full effect. Well, in stores and online but certainly not weather-wise in Los Angeles. The city thinks it’s still summer and is trying its hardest to push it in my face. 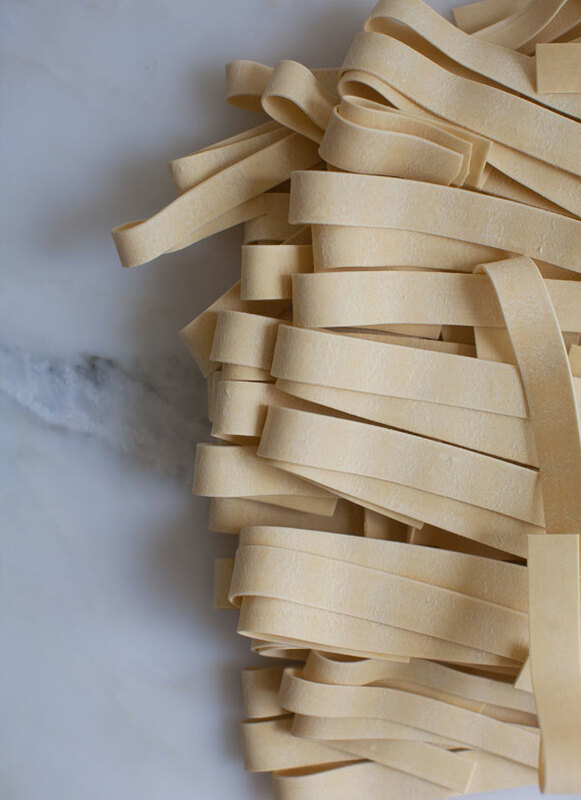 I keep resisting by baking the hot days away, making it even hotter, which has resulted in near overheating—it’s been fun! 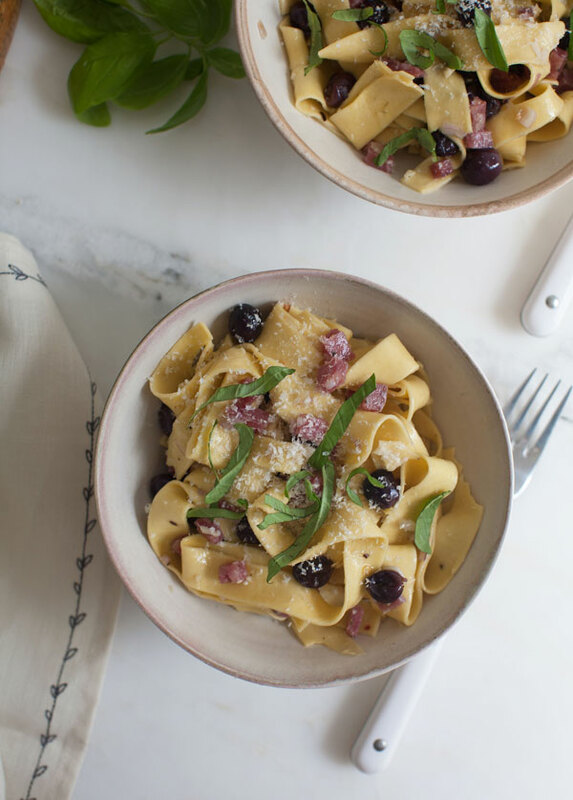 This pasta is a good way to enjoy the vines and vines of grapes that are at all the markets right now. 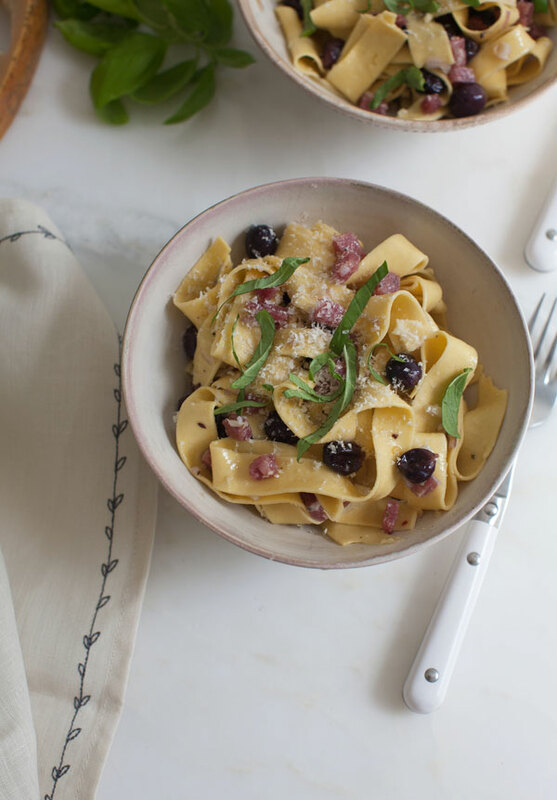 Think of this pasta as the earliest glimpse of fall. Its the intro the a season that will be full of baking and baking and more baking. 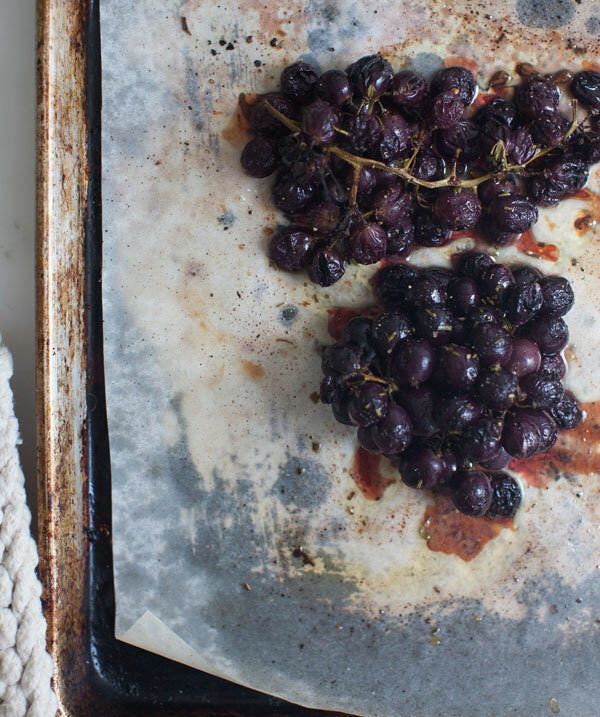 The grapes are roasted with minced fresh rosemary, salt and pepper. 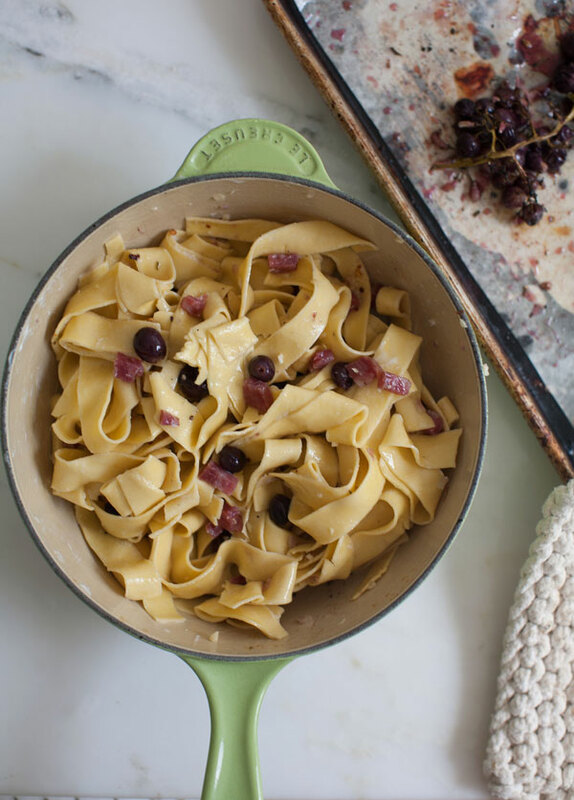 The pasta is creamy and tart and the spicy sopresseta adds a nice saltiness that compliments the sweet grapes.